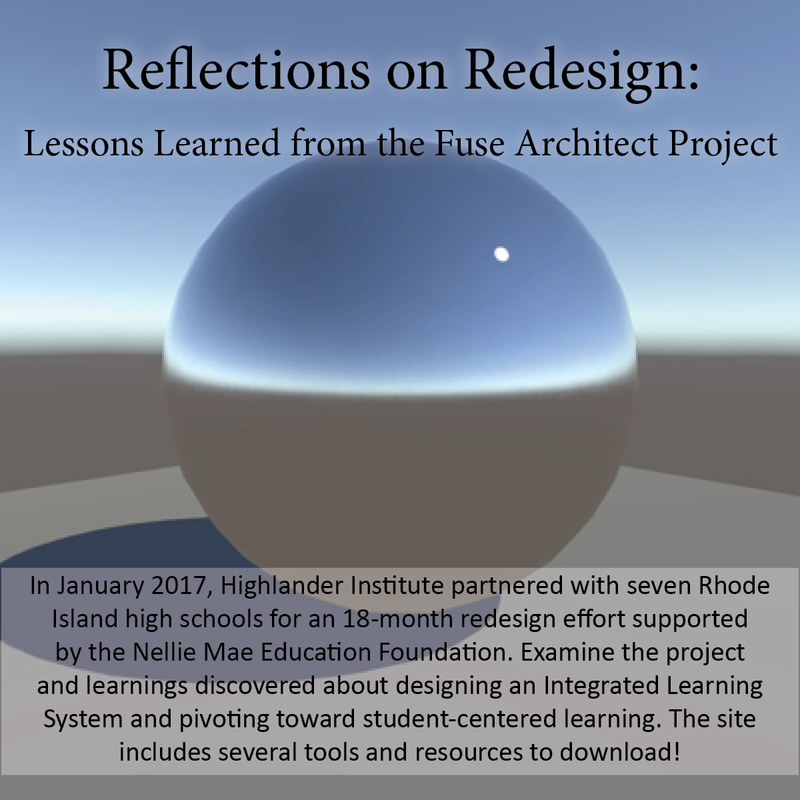 The resources in this section provide practice-based learnings on how to implement evidence-based high school redesign and improvement strategies & practices and why it is important and impactful. The University of Chicago School of Social Service Administration’s Network for College Success maintains a free, searchable database of tools designed to aid educators in their quest to redesign their schools & keep students on track for graduation and beyond. Read more. . . 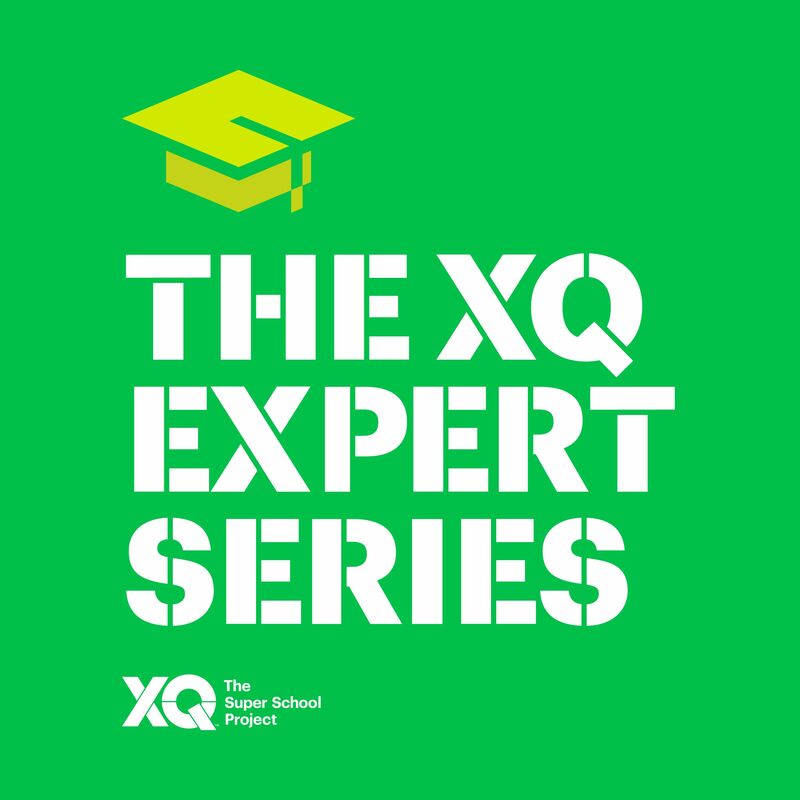 The XQ Expert Series is a series of conversations with transformational educational leaders about how they are incorporating youth voice and working alongside students to create meaningful learning experiences. The series includes inspiring examples, stories, and lessons from across the country. Check out the series’ podcasts. The “Organizing Adults” section on the “What the Evidence Says” page examines evidence and a research base that supports core principles to consider when redesigning high school staffing and how to most effectively deploy the adults in your building, like teaming and leadership structures, basically how to facilitate strong relationships between adults and students. The people in the school building are the most important resource to consider both in terms of how they work together and the outcomes and impact of your redesign efforts. If the people – teachers, partners, administrators, AND students – are more satisfied, more productive, more supported, more connected and more engaged, then the evidence says that the conditions have been created where academic outcomes will flourish. The critical concept is thinking about how to make the support and advancement of students the fundamental responsibility of everyone in the building and how structures that organize adults can support this work’s acceleration. Multi-media resources available online and to download. The Six Core Principles of Improvement from the Carnegie Foundation for the Advancement of Teaching. Schools as Organizations from the Research Alliance for New York City Schools examines school cliamte, teacher turnover, and student achievement in New York City. Relational Trust in Schools from EL Education reviews the definition, critical attributes, and conditions of relational trust. Understanding the Human Side of School Leadership: Principals’ Impact on Teachers’ Morale, Self-Efficacy, Stress, and Commitment This qualitative study from Ontario, Canada, reveals that principal behaviors shape teacher emotions in important ways, influencing teacher morale, burnout, stress, commitment, and self and collective efficacy. Opportunity Culture an “opportunity culture” extends the reach of excellent teachers and their teams to more students, for more pay, within recurring budgets. Visit the website. 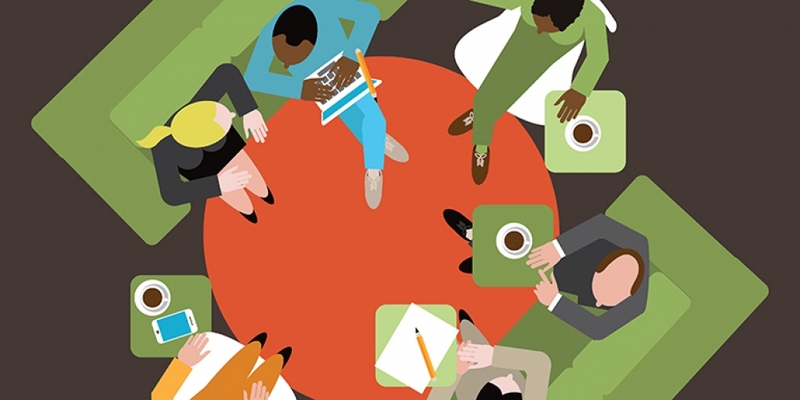 Implementing School-Based Teams Effective school-based teams are the anchors of successful on-track initiatives. In this toolkit, you will find tools to support accountable adult collaboration focused on improving student outcomes. The toolkit contains four tool sets. This toolkit from the Thinking Collaborative is designed to provide resources for developing and sustaining productive group interaction through the practice of “Seven Norms of Collaboration.” Consistent use of these norms enhances the quality and productivity of all forms of conversation in any group. SRI’s tools include protocols that offer structured processes to support focused and productive conversations, build collective understanding, and drive school improvement. Thoughtful use of these protocols is an integral part of building resilient professional learning communities. Teaching Together for Change is an excellent resource for teams, the School Reform Initiative tools include protocols that offer structured processes to support focused and productive conversations, build collective understanding, and drive school improvement. Thoughtful use of these protocols is an integral part of building resilient professional learning communities. This booklet examines the issue of trust within the context of school improvement, looking specifically at teacherteacher and teacher-principal relationships. Drawing on existing research as well as the experiences of individual schools, we offer a summary of current literature, discuss common roadblocks to trust-building, and identify specific steps that educators can take to increase the level of trust in their schools. This report from McRel Internationalexamines that teachers, like all professionals, should continuously grow and learn by developing new knowledge, skills, and abilities that benefit their students academically, we do not believe that a deficit-based approach to coaching is the way to get there. To gain a better understanding of the dynamic between data and design, the New Visions data team took a closer look at schools that have used thoughtful approaches to achieve impressive results. This study describes how teachers and school leaders at the High School of Telecommunication Arts and Technology (familiarly known as Telly) used data and design to strengthen programming for students in grades 9 and 10, thereby improving outcomes for all students. A report produced by the Carnegie Corporation of New York examines while it is important to graduate from high school, high school is not an end in itself, but rather preparation for college as well as life-long learning. It is one part of the path that leads students towards their ultimate potential in any of endeavor as well as in personal satisfaction in their lives. To reach these goals, students deserve the best possible education that we can provide. This report summarizes the research and experience from other settings—including venture capital, franchising, and research and development in industries such as pharmaceuticals—in which leaders have long relied on leading indicators to enhance the likelihood of success. This guide contains the materials designed to implement a work session that builds the knowledge and capacity of leaders and staff members from regional comprehensive centers (RCCs), state education agencies (SEAs), and within-state regional centers. Visit Bloomfield High School’s Website. Freshman Academy With almost 2,000 students, Bloomfield High School is a suburban Newark high school urban in demographics and small-town-like in culture. As the demographics and state accountability measures changed, it became apparent that the way to improve graduation rates was to start before students were enrolled. According to the principal, “The most important people at Bloomfield High School are now the ninth-grade students and teachers.” The teacher-designed freshman program with its summer orientation, team structure, and common planning time is credited with reducing student failures by 50 percent and significantly improving academic achievement. The 9th Grade Summer School is a free program for students entering ninth grade. Students will gain valuable skills to prepare for attending high school. Students who complete Summer School will earn one-half (.5) of a credit toward high school graduation. Credit is granted after the successful completion of one semester at a Phoenix Union High School District school. Students receive a free breakfast and lunch. Free bus cards are available for any student that lives 1.5 miles or farther from the summer school site. 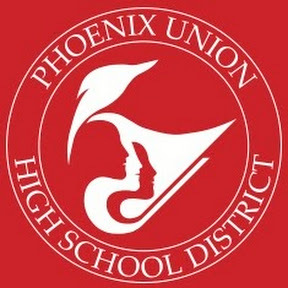 This one-minute video demonstrates how Phoenix Union High School provides transition supports in a summer Freshman Academy. Teacher Teams is a six-minute audiocast cohosted by Dr. Robert Balfanz, Director of the Everyone Graduates Center at Johns Hopkins University and Linda Muskauski, Knowledge Development Director at the Everyone Graduates Center at Johns Hopkins University. The pair discuss how teacher teams serve as the building blocks for high school redesign initiatives. Listen to the Audiocast. Betsy Arons, Geneviève DeBose, Hillary Salmons, and Michele Cahill answer questions and discuss ways to find and retain the best talent for your school. Featuring: Betsy Arons CEO of Urban Schools Human Capital Academy Geneviève DeBose National Board Certified Teacher and Commissioner of National Commission on Teaching and America’s Future Hillary Salmons Executive Director of Providence After School Alliance. See how Revere High School, located just outside Boston, MA, is addressing academic achievement and cultivating school culture by focusing on the 9th-grade year. Read more. . . This 32-minute video provides insights into a high school Success Team facilitating an accountable conversation about student outcomes using data and structured protocols. The Everyone Graduates Center at Johns Hopkins University School of Education produced an eight-part Early Warning Systems video training series in partnership with the New Mexico Public Education Department, and the High Plains Regional Education Cooperative. This in-depth series, begins with an overview of Early Warning Systems then continues to examine building a data culture, linking indicators to a tiered inteventions system, planning for schools and districts, how to get an EWS started including how to introduce school staff and faculty to the system, intervention review and data gap analysis and much more. Visit the video series home page. When beginning a redesign, one essential item is to consider how to keep students at the center of their educational experiences. Student apathy, lack of motivation, and behavior are factors underlying teacher stress and burnout. The longer students stay in school, the less hopeful they become regarding their educational experiences. This has resulted in higher rates of student and teacher absenteeism, higher rates of student suspension and less learning ultimately. A shift that places students at the center can occur when redesigning schools, which aligns students’ interest with teachers and administrators desired outcomes. The evidence-based suggestions offered here examine how to produce a change of ideas and practices within schools to align students’ interest with teachers and administrators desired outcomes. 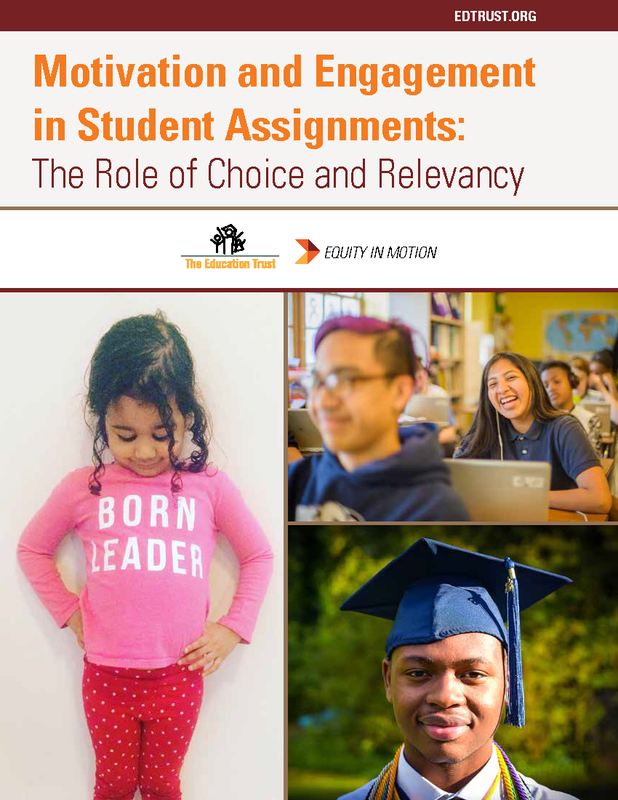 It also explores the importance of listening, valuing and implementing student voice in the decision-making process to achieve successful outcomes for all students. Underscored is the importance of developing agency with students and the balancing act that is needed to help foster agency within students. 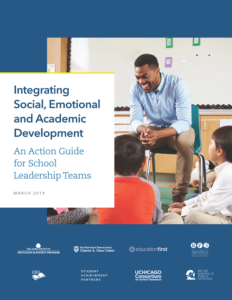 This action guide provides school leadership teams with a resource for integrating the social, emotional and academic needs of young people into the daily student experience, from the time a bus driver greets a student until the end of the day. It supports the school leader and her/his team in mapping out an approach for integrating the social, emotional, and academic needs of students into the way adults and students experience school each moment of each school day. Don’t know where to start? Use DRC’s Priority Setting Questionnaire to reflect on your current SEL approach. Using CASEL’s District Framework, you will be guided through an assessment of your current implementation status to help identify which areas are of highest priority for future focus. Begin the Priority Setting Questionnaire. Efforts to improve child and adolescent health typically have featured interventions designed to address specific health risk behaviors, such as tobacco use, alcohol and drug use, violence, gang involvement, and early sexual initiation. However, results from a growing number of studies suggest that greater health impact might be achieved by also enhancing protective factors that help children and adolescents avoid multiple behaviors that place them at risk for adverse health and educational outcomes. 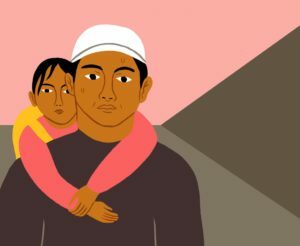 Enhancing protective factors also might buffer children and adolescents from the potentially harmful effects of negative situations and events, such exposure to violence. Freshman On-Track Toolkit prepared by the Network for College Success at the University of Chicago, the NCS Freshman On-Track Toolkit is a collection of protocols, reports, resources, and artifacts used by our experienced Coaches in their daily work to help schools better support students through the critical first year of high school. Beyond the Indicators: An Integrated School-Level Approach to Dropout Preventionfrom the Mid-Atlantic Equity Center summarizes the research on why students drop out of school, explains the research implications for how to create an integrated dropout prevention strategy, and highlights an innovative pilot project that yielded results in a matter of months—a how-to example that works. Overcoming the Poverty challenge to Enable College and Career Readiness for All examines the important and under-conceptualized thread in the weave of efforts needed to ensure that all students graduate from high school prepared for college and/or career training: enhanced student supports. Springpoint published Designing New School Models, A Practical Guide in fall 2016, which outlines a three-phase process for new school model development, together with a set of planning tools for designers and leaders who want to engage in the work of doing school differently. The materials in the guide represent key insights gleaned from our work supporting school designers in the design, implementation, and iteration of new school models. 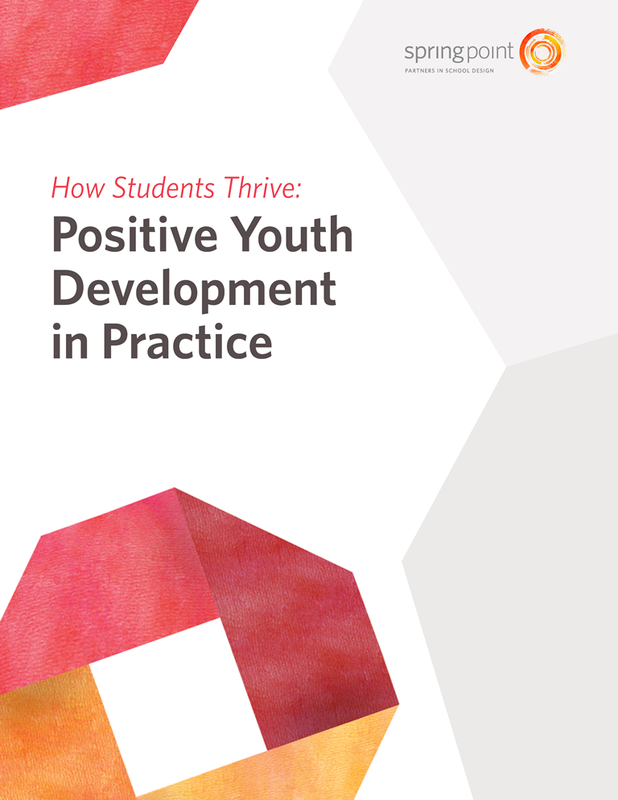 For us, this work is anchored by three core priorities: young people, great practice, and iteration. Educational Experiences that Matter to Seniors Graduation from an Urban Early College High School preparing underrepresented students in urban settings for college and career is the focus of this study prepared by SAGE journals. Reasons for Chronic Absenteeism Among Secondary Students This report presents information on the results of the Reasons for Chronic Absenteeism (RCA) Survey for secondary students. 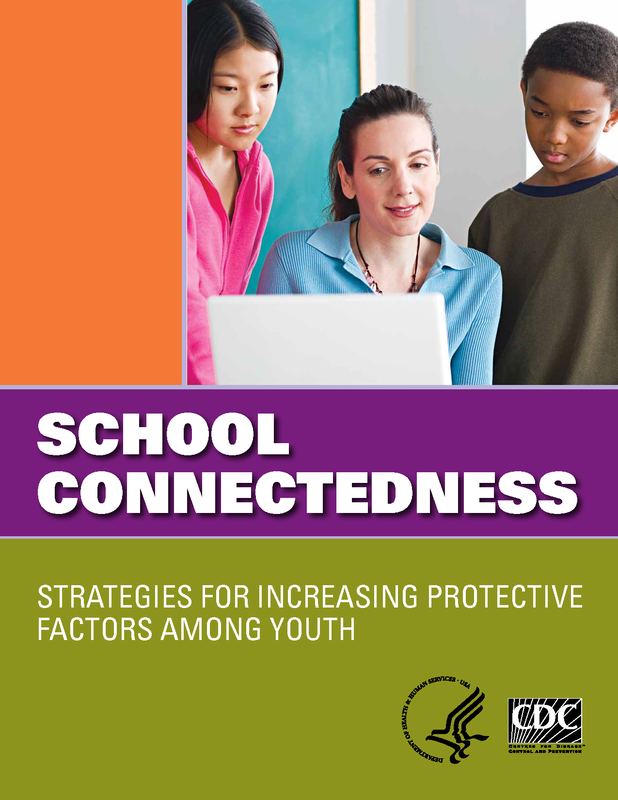 The data were collected directly from 5,790 chronically absent 6th-12th grade students in 8 states (CA, FL, IA, KY, ME, MI, MN, RI), 21 school districts, and 91 schools. Integrating Social, Emotional, and Academic Development is an action guide provides school leadership teams with a resource for integrating the social, emotional and academic needs of young people into the daily student experience, from the time a bus driver greets a student until the end of the day. It supports the school leader and her/his team in mapping out an approach for integrating the social, emotional, and academic needs of students into the way adults and students experience school each moment of each school day. Austin Independent School District (AISD) has succeeded in developing a model for systemic social and emotional learning (SEL) for all of its 83,600 students that focuses on explicit skills instruction, SEL integration, school climate and culture, and family and community engagement. SEL coaches funded by local and federal sources are deployed throughout the system. AISD’s SEL strategic plan, first approved in 2011 and revised for 2015-2020, drives SEL implementation. Using a vertical structure, Austin started with two high schools and their feeder schools. As of 2015-16, all 130 schools in the district are implementing SEL. Report Card Conferences are held between students and non-school affiliated adults. Caring adults, which are typically caring adults from the community, review a student’s report card along with their Attendance, Behavior, and Course Performance. RCCs give students the opportunity to speak with caring adults who reinforce the value of success in school and encourage them to get help when experiencing difficulty. Redesigning Student Support Systems is a six-minute video which examines how high schools can redesign their student support systems using the A-B-Cs of Attendance, Behavior and Course Performance. PBS’s program Frontline featured a story on Omarina. The video follows Omarina over a six year period and how an innovative program to stem the high school dropout rate affected her life’s journey. Michele Cahill hosts a discussion with experts about how to co-create learning experiences with young people. Featuring: Travis Bristol, Research and Policy Fellow at the Stanford Center for Opportunity Policy in Education; Zak Malamed, Founder and Executive Director of Student Voice; Eliza Jane Schaeffer, Senior at Henry Clay High School. 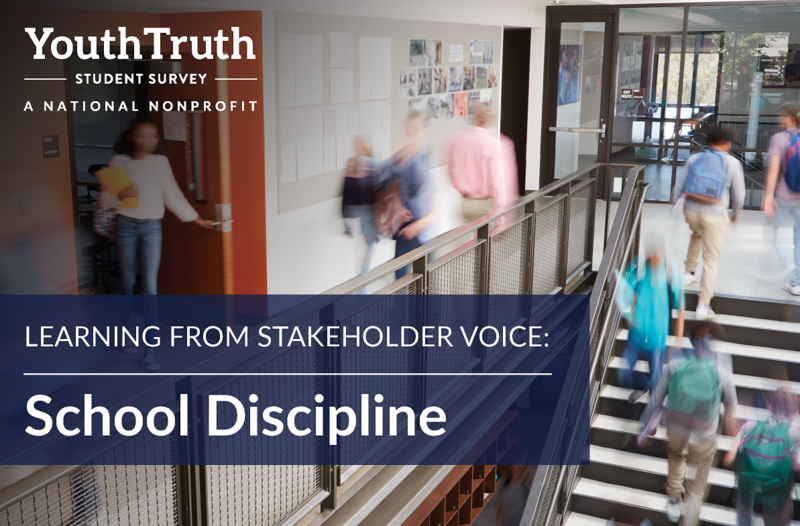 Learning from Stakeholder Voice: School Discipline examines the question, “What do students, families, and staff think about discipline and fairness at their school?” Read more. . . The “What the Evidence Says” page of the Teaching and Learning Section provides a learning sciences, research-based guide to teaching and learning practices. The “How to Section” introduces models and approaches to support implementation of selected practices at your school or your district. Implementing evidence-based practices is a human endeavor and an ongoing process. It requires continuous self-reflection on the ways we teach and on the use of students’ work as indicators to determine the success of meeting the needs of diverse learners. Over 2,000 students participated in the New York Times’ second annual December challenge to “connect what you’re learning in school with the world today,” and, as you’ll see from the work of the winners, this year’s best were just as insightful and imaginative as last year’s. For students to thrive and achieve at high levels, they must be interested and emotionally invested in their learning. Why? Because motivation, or the desire that propels one to do something, leads to engagement, where students are being attentive to their tasks, putting forth positive effort, persisting through challenges, and advancing their ideas and understandings with a sense of intention. 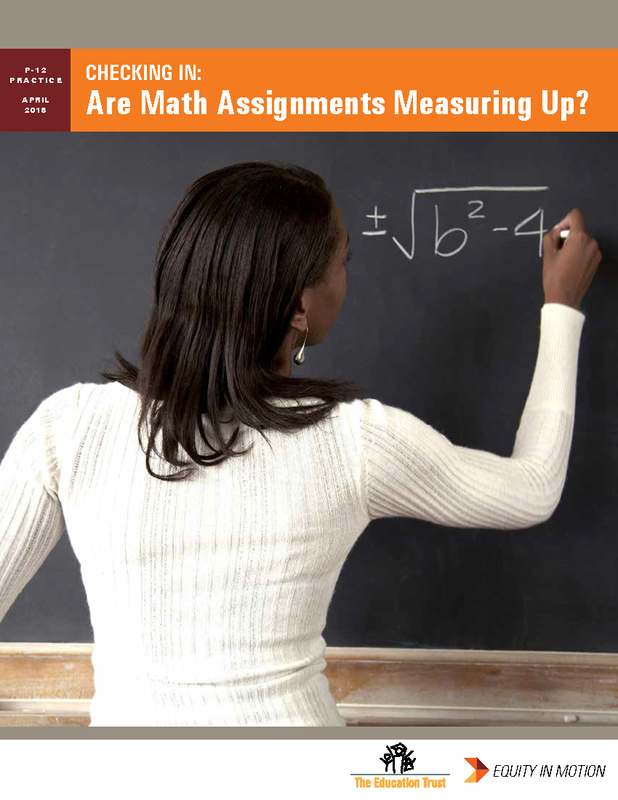 Are Math Assignments Measuring Up? can do independently as a result of their teaching. Educator Competencies for Personalized, Learner-Centered Teaching the development of Educator Competencies for Personalized, Learner-Centered Teaching serves as a first step in identifying the knowledge, skills, and dispositions that educators need in order to create and thrive in effective personalized, learner-centered environments. 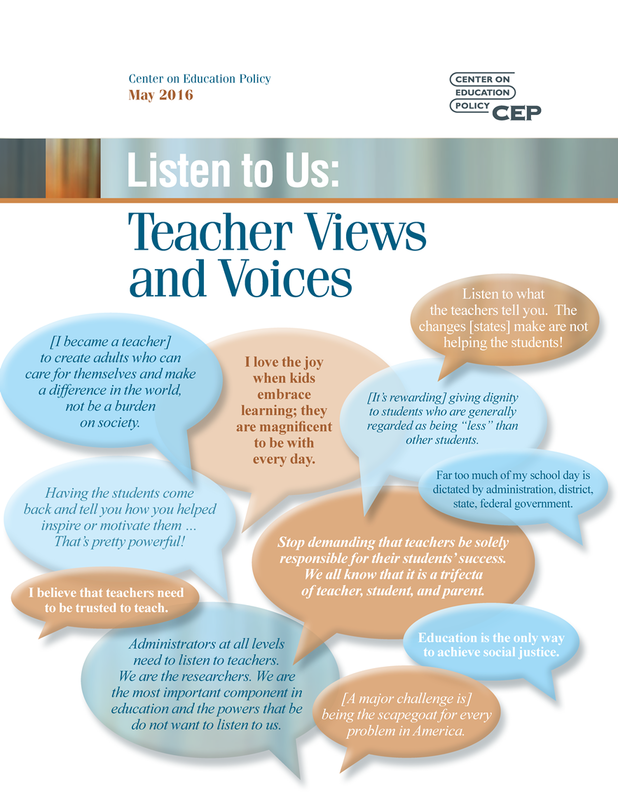 Teacher Views and Voices the Center on Education Policy (CEP), in an effort to gather and amplify teachers’ voices about current education issues and their own profession, conducted a national survey of public school K-12 teachers in the winter of 2015-16. The survey focused on a strategic set of issues for policy-makers, educators, business leaders, and the public, including teachers’ views on their profession, standards, testing, and evaluations. Supporting the Whole Teacher from The Aspen Institute highlights the need for teacher preparation and professional learning to both build teachers’ own social and emotional competence and prepare teachers to foster these skills in their students. The case study cites key examples of programs supporting teachers in this work including RULER, an evidence-based program that trains teachers on how to model the social and emotional behaviors they want to see in their students, and the Center for Reaching and Teaching the Whole Child, which works with teacher preparation programs to help integrate teacher and student social and emotional competencies into their classes. Improving Academic Outcomes for Disadvantaged Students: Scaling Up Individualized Tutorials prepared by The Hamilton Project examines the need for a more robust safety net for students who fall behind grade level is a key systemic challenge for many urban school districts. Global Best Practices: An Internationally Benchmarked Self-Assessment Tool for Secondary Learning was created by the New England Secondary School Consortium to equip high schools with a clearly articulated, step-by-step process they can follow to identify existing issues or needs, and to shape school-improvement plans and priorities. The Challenge of Culture Change: Embedding Restorative Practice in Schools this paper seeks to broaden the perspectives of senior and middle management and restorative practitioners around what restorative practice in schools can look like; and to present some practical guidelines which represent a strategic approach to the implementation of restorative practices, so that they “stick” – that is, become sustainable. 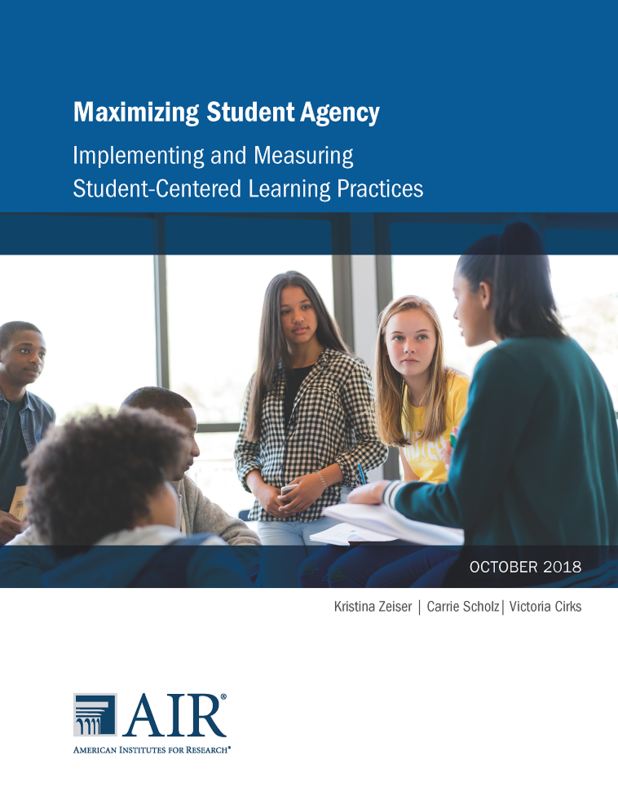 American Institute for Research worked with four New Tech Network (NTN) high schools in three states for the 2018 study Maximizing Student Agency: Implementing and Measuring Student-Centered Learning Practices to determine which teacher practices help or hinder the development of student agency, and whether these practices are effective across educational contexts and with different student subgroups. Blended Learning—An innovative blended learning program at Huntley High School is breaking down the barriers of the traditional school day and leveraging technology to help students learn better. Blended Learning classes at Huntley High School Inspire, Challenge and Empower students to become self-motivated learners through both face to face and online instruction. HHS utilizes a Flex Learning Model of Blended Learning. Learn through courses, projects, internships, travel, etc. Certified teachers work to establish positive relationships with every student. Complete a middle school program, earn a high school diploma, or an associate degree. Learn at a pace that meets the individual student’s needs. Students are welcome from any state or country. ELL—Bronx International High School is a progressive, team-based and community-based school dedicated to serving the academic and social needs of recently immigrated young people and their families. BIHS’s mission is to enhance students’ cultural awareness, English and native language proficiencies, and intellectual and collaborative abilities. These skills will empower them to become active participants in today’s interdependent and diverse world. By critically analyzing and responding to complex world issues, students will achieve academic, personal, and professional success, as they become advocates for themselves and their communities. Casco Bay High School for Expeditionary Learning (CBHS) is a small and rigorous public high school that reflects the increasing diversity of Portland, Maine. Founded in 2005, CBHS is a school of choice for just under 400 students. Casco Bay challenges and supports students to become college-ready through our 3Rs: Rigor, Relevance, and Relationships. 98% of our graduates have been accepted to college. In 2017, CBHS was again named one of Maine’s top high schools by US News and World Report. CBHS is a credentialed school in the EL Education national network of schools, and one of the original “Mentor Schools.” In fall 2014, CBHS was named one of 20 “Deeper Learning” schools in the country and won the $100,000 Larry O’Toole Award from the Nellie Mae Foundation for advancing student-centered learning in New England. Sanborn Regional High School is a leader in competency-based learning. 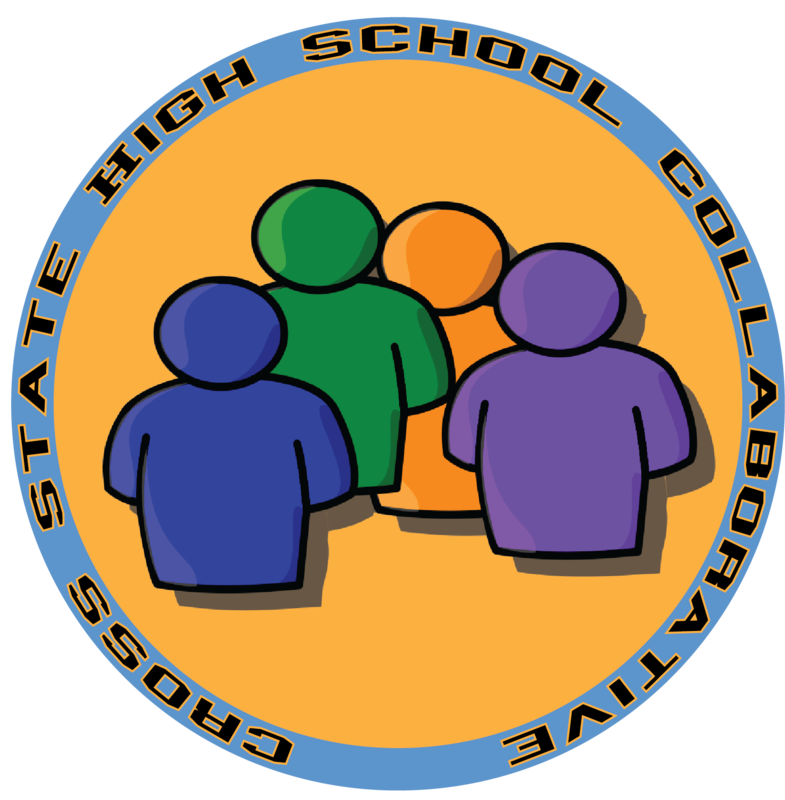 Located in New Hampshire, SRHS features flexible learning time to personalize instruction and provide students with support for intervention, extension and enrichment. Sanborn Regional High School is committed to sustaining a positive environment which promotes respect, academic excellence, and pride by encouraging independent thinking within a culture of collaboration. Video: Does Early College for HS Kids Boost Graduations? A PBS’s NEWSHOUR feature that examines a South Texas high school that integrates early college learning into the high school curriculum in an a multi-cultural environment of poverty, English as second language, differing education levels, etc. Sandborn Regional High School produced a nine-minute video focusing on Competency-Based Learning. The guide, Design Your Personal Learning Plan, from Problem Solving Incubator High School in Seminole County Public Schools provides an example for creating an individualized learning plan that combines face to face classroom experiences, individual advisors and project- based learning experiences across the school campus and community. Michele Cahill hosts a discussion with experts on deeper learning. Featuring: Monica Martinez Appointee, President’s Advisory Commission on Educational Excellence for Hispanics Derek Pierce Principal, Casco Bay High School Portland, ME Liliana Polo-McKenna Vice President, NYC Leadership Academy. In the “What the Evidence Says” section on post-secondary pathways is evidence and a research-base that supports core principles to consider when redesigning high school experiences. As you design pathways that see high school as a beginning and not an end, keep students’ options open, keep the choice of which pathway with students and their families, and collaborate beyond the school walls with families, employers, community partners and post-secondary education providers there are many implementation decisions to address. In order to support the “know how” of school leaders, teachers, staff, and community we have compiled a variety of reports and guides. Each of these reports offer models and often share district and school sites where the approach has had a successful impact. For nearly a decade, ACT has measured student progress in the context of college readiness. The Condition of College & Career Readiness is ACT’s annual report on the college readiness of the most recent high school graduating class. The data herein provide insights to catalyze and guide efforts to improve college and career readiness for the next generation of young people now making their way through the US education system. Since 1968, the Civil Rights Data Collection (CRDC), formerly the Elementary and Secondary School Survey, has collected data on key education and civil rights issues in our nation’s public schools for use by the Department of Education’s Office for Civil Rights (OCR) in its enforcement and monitoring efforts regarding schools’ and districts’ obligation to provide equal educational opportunity. The data collected in Issue Brief No. 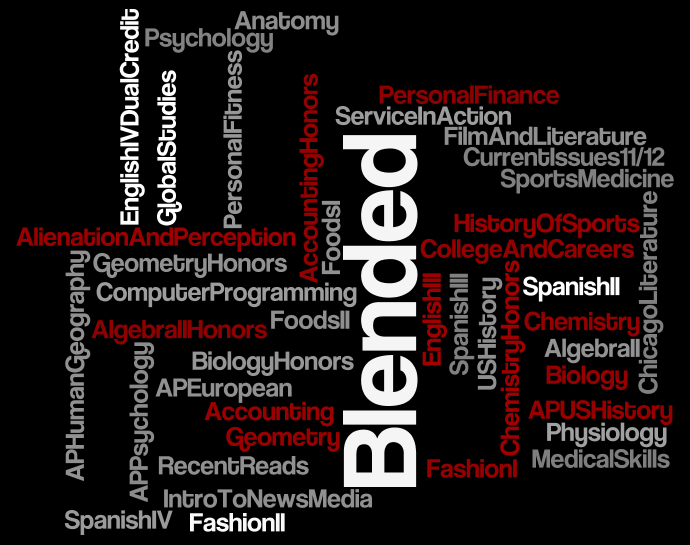 3 (March, 2014) highlighted college & career readiness. 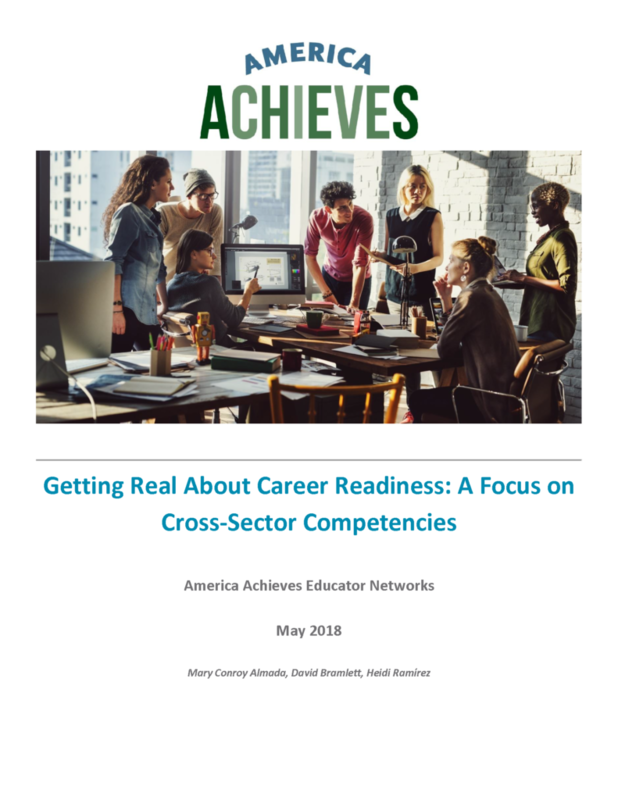 Getting Real About Career Readiness: A Focus on Cross-Sector Competencies In December 2017, America Achieves, in partnership with the Organisation for Economic Co-operation and Development (OECD), hosted the Global Learning Network 2017 Convening of World-Leading Learners—30 schools invited from six countries. Together, this group and a variety of national and international experts reflected on the changing nature of the economy, workforce demands, related cross-sector competencies, implications for education, and promising new strategies to better prepare today’s young people for career and life success. More than an Application from the Research Alliance for New York City Schools examines how New York City Schools offer a comprehensive college and career planning program to students and families beginning in the freshman year. It also provides an example of how to provide all students support to complete a comprehensive plan for success after high school. 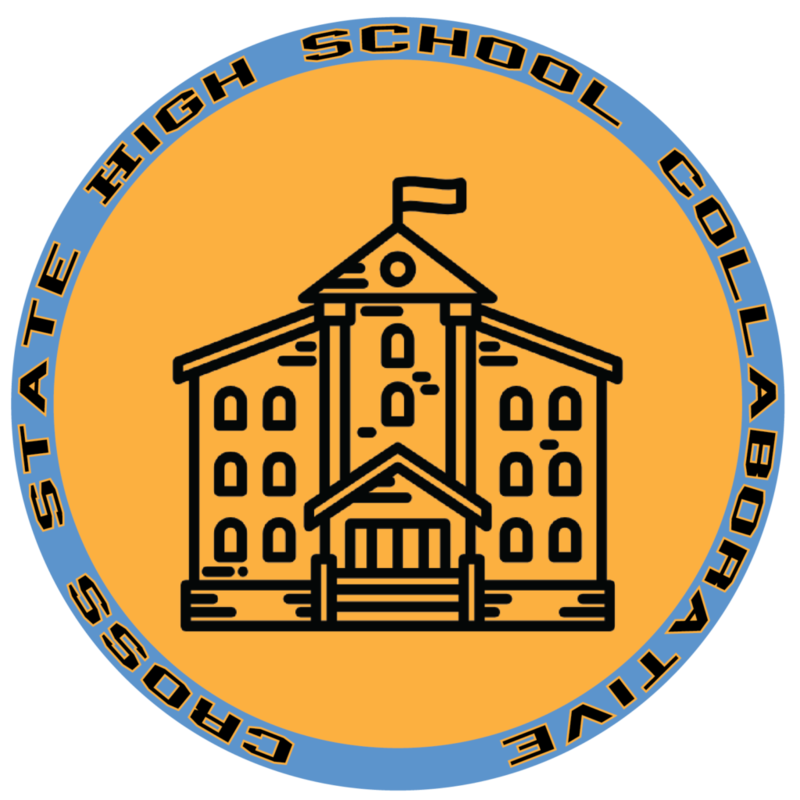 Connecting Secondary Career and Technical Education and Registered Apprenticeship: A Profile of Six State Systems Connecticut, Florida, Kentucky, North Carolina, Rhode Island, and Washington states were profiled in this report are using a range of approaches to align secondary Career Technical Education with Registered Apprenticeships. Produced by the US Department of Education. What it Takes to Create Linked Learning a 2016 report issued by Linked Learning on lessons learned from evaluation the approach of in practice. Not as Hard as You Think is a report which details engaging high school students in work-based learning. Prepared by Jobs for the Future in conjunction with The Pathways to Prosperity Network. Toward a Better Future contains evidence on improving employment outcomes for disadvantaged youth in the United States. Prepared in February, 2015 by MDRC. Nudging for Success examines the behavioral barriers that prevent students from accessing college, completing a degree, and repaying their loans and cost-effective solutions that can be used to address these barriers. Work-Based Learning Tool Kit This tool kit will provide state and local program administrators with information regarding the key components of work-based learning (WBL), an instructional strategy that enhances classroom learning by connecting it to the workplace. It offers guidelines and resources related to creating a state WBL strategy, engaging employers, collecting data, and scaling effective programs. Earn While You Learn: Switzerland’s Vocational Education and Training System In countries such as Switzerland, Germany, and Austria, apprenticeships are an integral part of the educational system. Recently, the United States has shown increasing interest in learning more about the Swiss model and other European models. This brochure explains the key characteristics of the Swiss model, highlights Swiss-U.S. cooperation, and discusses current initiatives in the field. Degrees of Opportunity from AEI provides lessons learned from state-level data on post-secondary earnings outcomes and shows if we move beyond our current on the bachelor’s degree and widen the aperture to include all the post-secondary pathways at our disposal, far more educational options emerge that can lead students to economic success. ISA Outcome Evaluation This report summarizes key findings from Academy for Educational Development’s external evaluation of the Institute for Student Achievement (ISA). The six-year evaluation investigated the following key questions: 1) What are the outcomes for ISA students in terms of high school and college achievement?, and 2), How do outcomes for ISA students compare with those of similar students in non-ISA schools? Tiger Ventures outlines a new, alternative high school which opened in Endicott, New York in fall 2016 with 45 students in 8th and 9th grades. Iowa BIG is a public school with no admissions requirements. Each partnering district has slots proportional to their financial commitment to the program. We currently serve an accurate cross section of our partner districts’ demographics. Expanding Career Through Career and Technical Student Organizations an entry in ACTE’s (Association for Career and Technical Education) “Career Readiness Series” examines the benefits of CTSOs for strengthening students career readiness. New Pathways to Careers and College: Examples, Evidence, and Prospects from MDRC describes some of the most prominent of these “pathway” models, identifies localities where the approach has gained the most traction, discusses the underlying principles that characterize the most promising programs, and briefly presents the evidence of their potential to make a difference. The report concludes with a set of recommendations for future investment to strengthen and scale such programs. Nuvu, in Cambridge Massachusetts, is an innovative school based on a project-based studio model lead by coaches who are leaders in their industry, experts in diverse fields, and passionate thought leaders. Click to visit Nuvu’s website. The Tacoma School of the Arts began as an idea in 1998 and with the help of the Bill & Melinda Gates Foundation Model Schools Program, the Tacoma Public Schools, and a variety of partners in the local arts and business community, the Tacoma School of the Arts (TSOTA) opened in the Fall of 2001. The school’s proximity to cultural organizations was intentional in order to provide opportunities for students to engage in the community. Click to visit TSOA’s website. Checkout a day in the Life of several Albemarle County High School students as they have a variety of experiences to support post-secondary pathways. Carl Wunsche Senior High School in Spring, TX’s mission statement is, “To prepare students for lifelong learning and achievement by focusing on student career interests.” They place students on one of three industry career paths—technology, health and professions—and supplements their curriculum with real-world experience. Click to visit CWSHS’s website. Iowa Big is a program that attracts students from across Cedar Rapids, Iowa, because it provides the opportunity to earn high school credit by working on real-world projects designed by students, businesses, non-profits and government agencies. 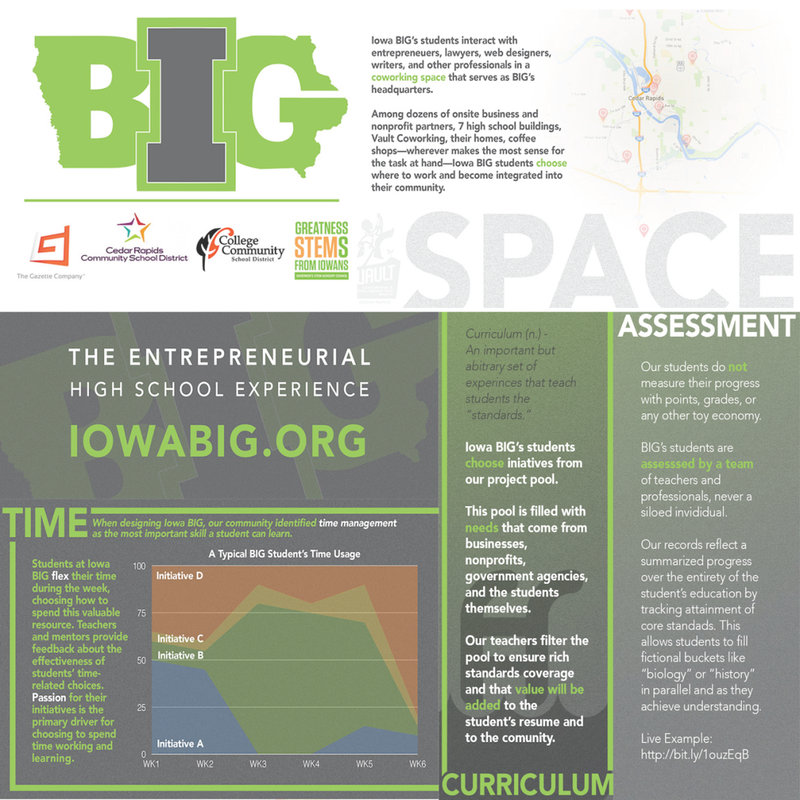 While working alongside local businesses and experts, Iowa BIG provides students a canvas to develop and engage with projects that have a profound impact on their own community. 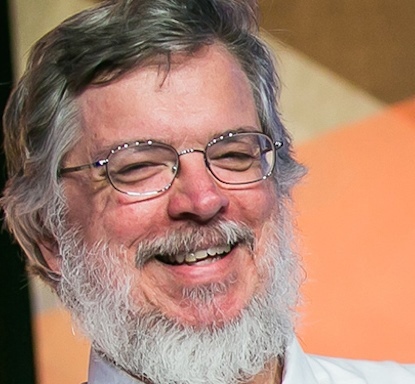 For this, they received the XQ award for turning the community into a hub of learning. Click to visit Iowa Big’s website. Tiger Ventures is a high school fully integrated with a new venture incubator. 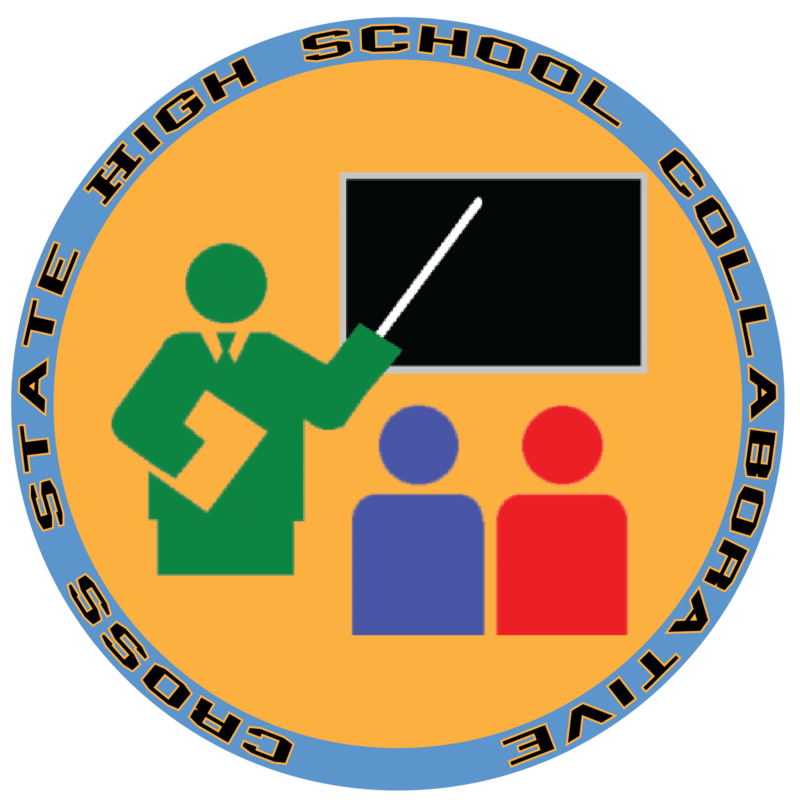 Created by the school district, it will serve as a site to assist in the economic growth and sustainability of the community and as an educational partner – providing both internships for students as part of their school day and professional development for teachers and staff. Click to visit Tiger Ventures’ website. 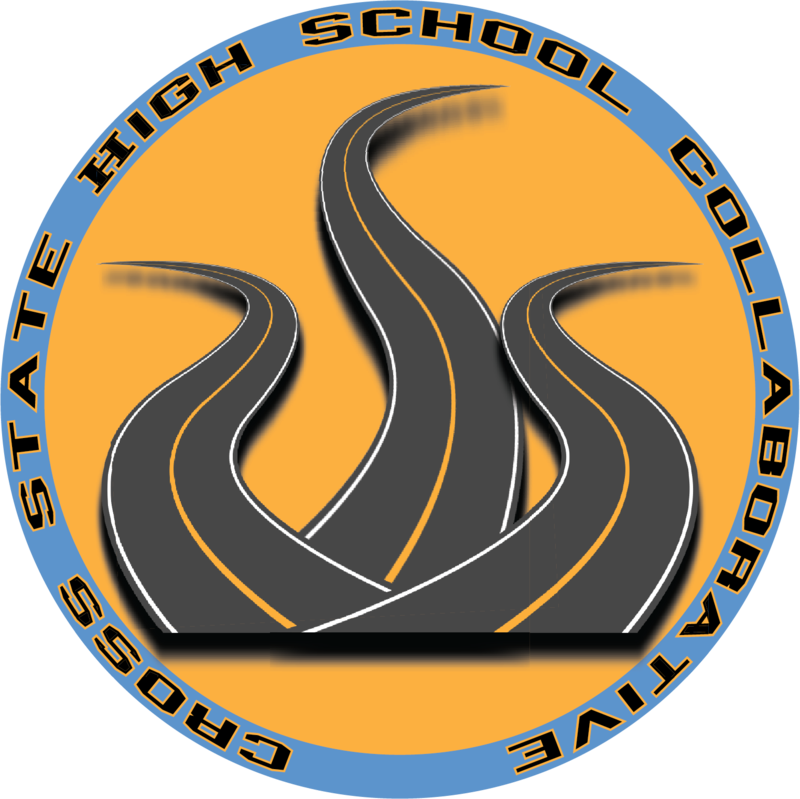 High School 2022 is a district-wide initiative to design, refine and deliver the future of high school for graduates in the class of 2022 and beyond. The Virginia Department of Education is currently developing the Profile of a Virginia Graduate, a framework that will be used for the State Board’s revision of high school graduation requirements for students graduating in the class of 2022. High School 2022 in Albemarle County, Virginia will be influenced and responsive to the Profile of a Virginia Graduate. Click here to watch a video about Profile of a Virginia Graduate featuring Billy K. Cannaday, Jr., President of VA’s Board of Education. Click to visit ACHS’s website. This four-minute video tells the story of Iowa Big. PSI High is an immersive, full-time program located within Seminole High School where students work in an environment that looks like a high-tech office instead of a classroom. Rather than learn through traditional instruction, our students join teams with their peers and teachers to solve real community, business, and social problems. “Mississippi Today’s” Gabriel Austin examines Vicksburg Warren School District’s efforts of a new pilot program that exempts it and two other school districts from some state laws to allow schools to be more innovative in tackling the challenge of achievement gaps, particularly between white and minority and low socioeconomic status students and their peers. Michele Cahill hosts a conversation with three experts on how to measure and evaluate performance in schools. Featuring: Andy Calkins Deputy Director of Next Generation Learning Challenges Karen Pittman CEO of Forum for Youth Investment Antonia Rudenstine Co-Director of reDesign. 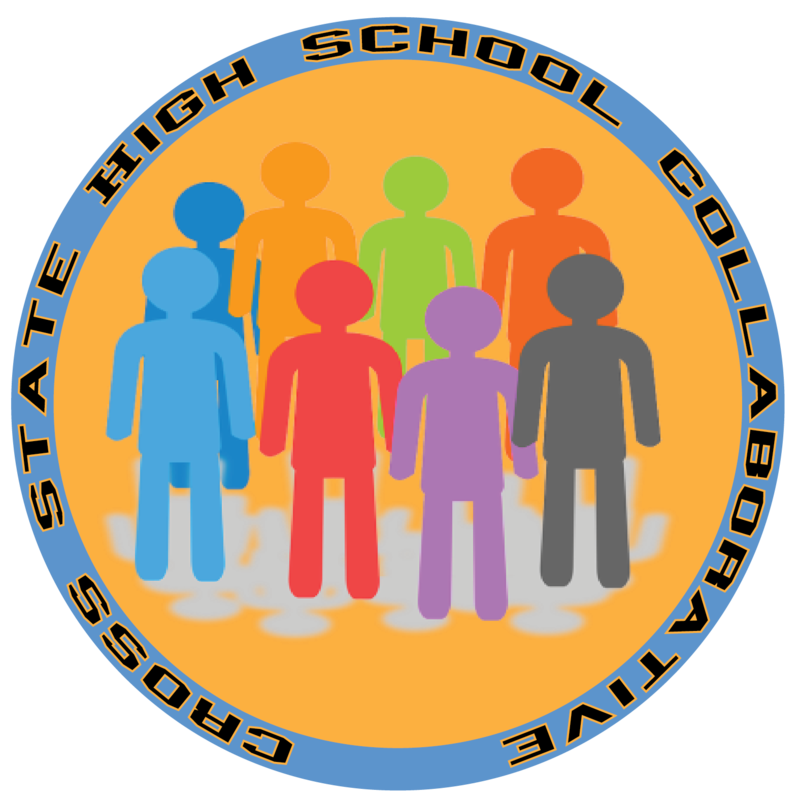 We also offer a section which looks at what as been learned from efforts to implement evidence-based high school redesign and improvement efforts in a comprehensive manner. The resources below offer comprehensive evidence-based improvement efforts throughout the country. Addressing Early Warning Indicators: Interim Impact Findings from the Investing in Innovation (i3) Evaluation of Diplomas Now from MDRC and ICF International which conducted an independent, experimental evaluation of 62 secondary schools in 11 school districts on the impact and implementation of Diplomas Now. Reforming Underperforming High Schools from MDRC outlining how urban high schools are in trouble — high dropout rates, low student academic achievement, and graduates who are unprepared for college are just some of the disappointing indicators. However, recent research points to a select number of approaches to improving student outcomes and reforming underperforming schools. Making Progress Toward Graduation: Evidence from the Talent Development Secondary Model from MDRC demonstrates how Talent Development Secondary, which targets some of the most troubled schools in the country, seeks to raise the expectations of teachers and students, with the ultimate goal of preparing all students for post secondary education and employment. Sustained Positive Effects on Graduation Rates: Produced by New York City’s Small Public High Schools of Choice from MDRC Between fall 2002 and fall 2008, New York City undertook a district-wide high school reform that is perhaps unprecedented in its scope, scale, and pace. The school district closed 23 large failing high schools (with graduation rates below 45 percent),1 opened 216 new small high schools (with different missions, structures, and student selection criteria), and implemented a centralized high school admissions process that assigns over 90 percent of the roughly 80,000 incoming ninth-graders each year based on their school preferences. Headed to College: The Effects of New York City’s Small High Schools of Choice on Postsecondary Enrollment Since 2010, MDRC has released three research reports on the New York City Department of Education’s multi-year initiative to create small public high schools that are open to any student who wants to attend. This brief adds evidence from a fourth cohort on high school graduation and presents MDRC’s first results with respect to these schools’ effects on postsecondary enrollment. Please click here to report any missing or incorrect links.